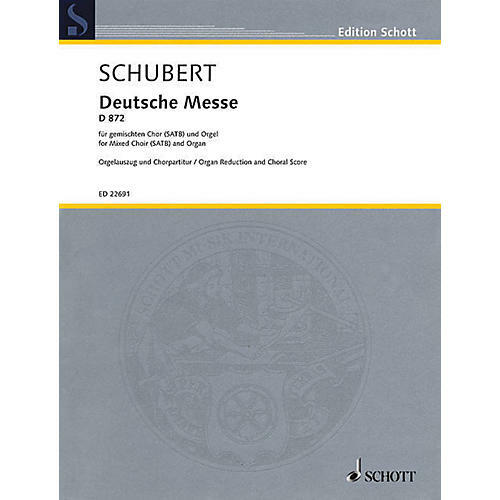 Deutsche Messe D872 is one of Schubert's most popular works. This new edition of the organ reduction is based on the latest research of Felix Loy (Edition Eulenburg). A practical edition which can also be used as choral score.